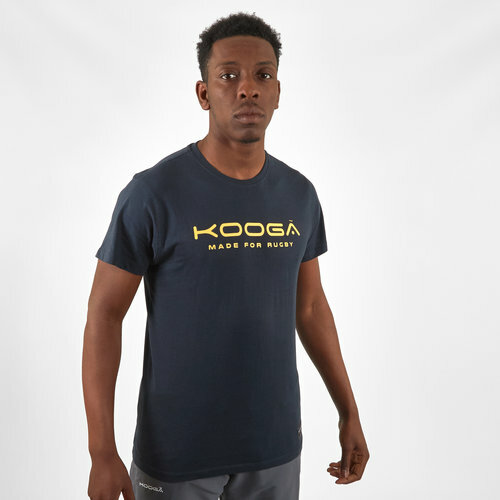 Be ahead of the game in this Kooga Large Logo Cotton T-Shirt. This tee is navy with a large yellow Kooga logo printed across the chest. This high quality t-shirt is perfect for training or chilling. 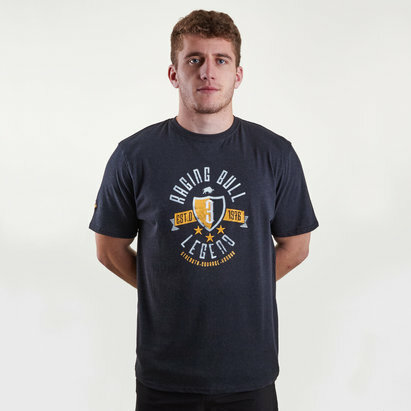 As a stylish and comfortable top it is ideal for rugby players or supporters.